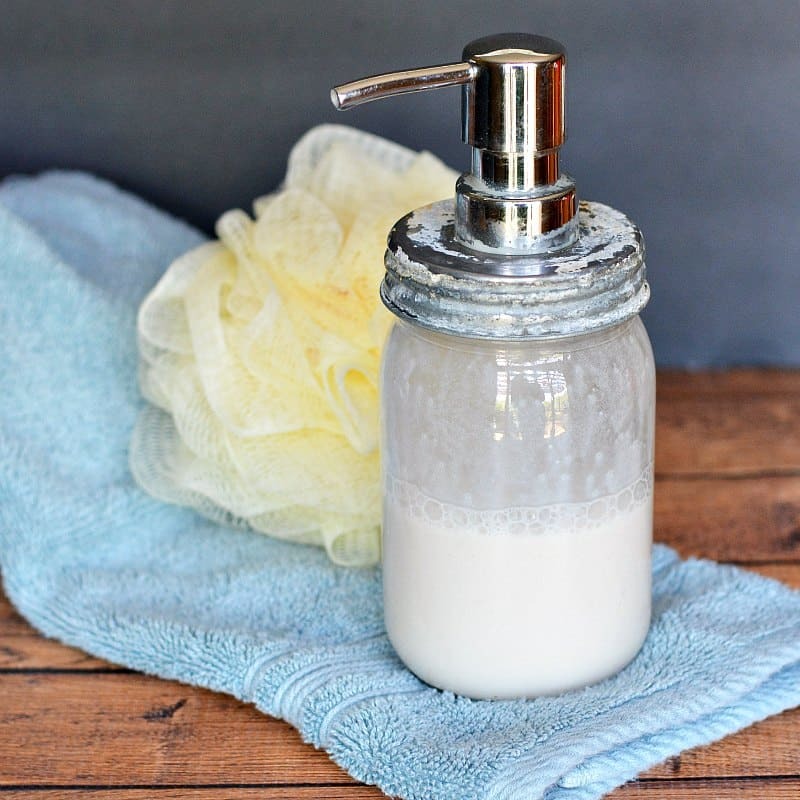 DIY coconut milk shampoo recipe only needs 3 ingredients to make and will help keep your hair soft and clean without harsh chemicals. 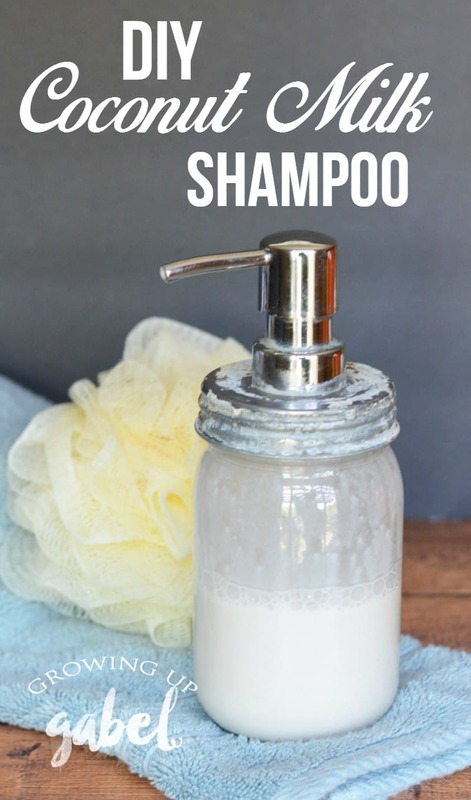 I first tried homemade shampoo years ago. It had something to do with using apple cider vinegar to rinse out the shampoo. It also required having the vinegar plus a bunch of other kitchen items cluttering up my bathroom. It was just way too fussy for me. 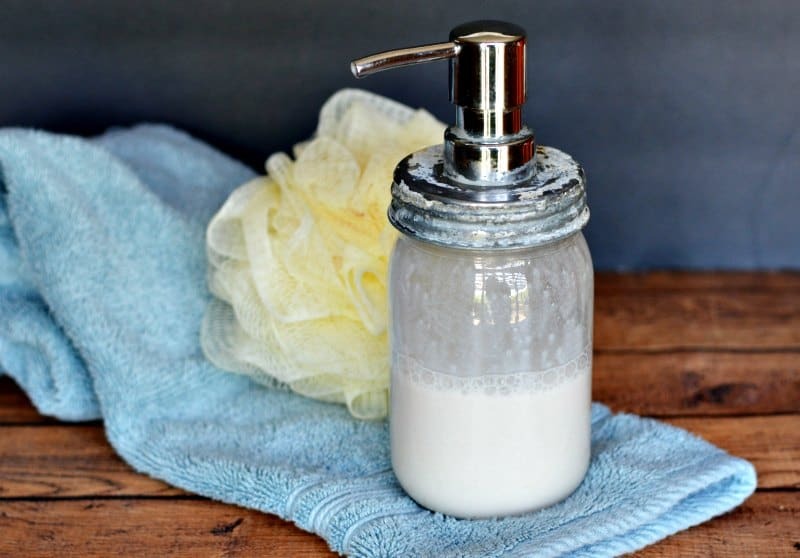 But a DIY coconut shampoo that only requires two ingredients is definitely a keeper. The base of this coconut milk shampoo is a castile soap so you still get foaming and the feeling of using a soap on your hair. The castile soap alone leaves hair a bit too tangly. I think the fat in the coconut is what helps leave the hair with a bit more smoothness and moisture in it. Add ingredients to the jar. Seal well and shake until mixed thoroughly. We used a measuring cup first and then poured it into the jar. Don't do that. It's just a wasted step. I read a few other recipes for this shampoo and some people had issues with the canned coconut milk. If that's the case and you're up for a challenge, you may want to try making your own coconut milk and using that. 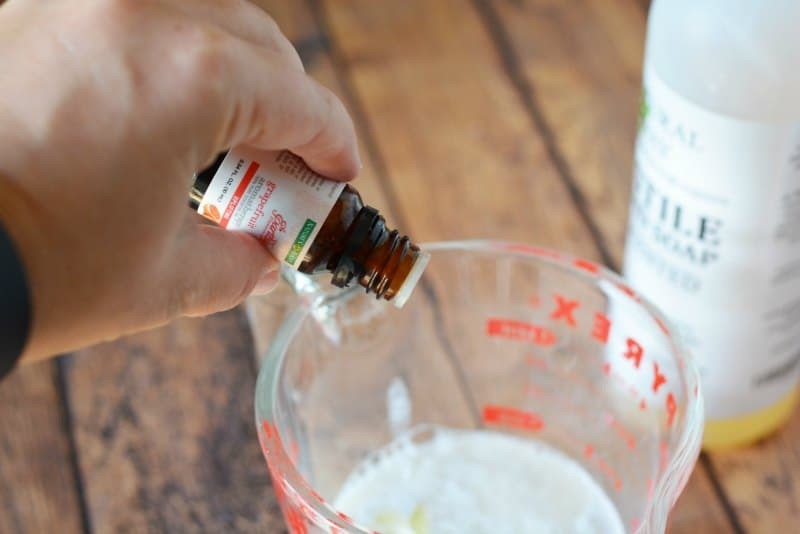 I've recently started using Plant Therapy essential oils and I'm loving them! The prices are great; they offer FREE shipping; and they have a wonderful Facebook group run by certified aromatherapists so you learn how to properly use the oils. I've found the quality of the oils to be just as good as from the direct sales oils. I do recommend when using essential oils that you do your research. Generally, the ones you find in a store probably aren't the best quality. Shake well before using. Use as you'd normally use shampoo, pumping a small amount onto your hand, creating a lather and washing your hair. Hi, thanks for the recipe! Do you know the shelf life of this shampoo? Also, do you find that you need to use conditioner with it? I am not sure. I don’t color my hair (yet!). But castile soap is on the harsh side of soap so it wouldn’t surprise me. Thank you so much for this recipe. I just started to making my own beauty products and have not found a recipe yet for shampoo. Can’t wait to try this! I’m exited to try this! 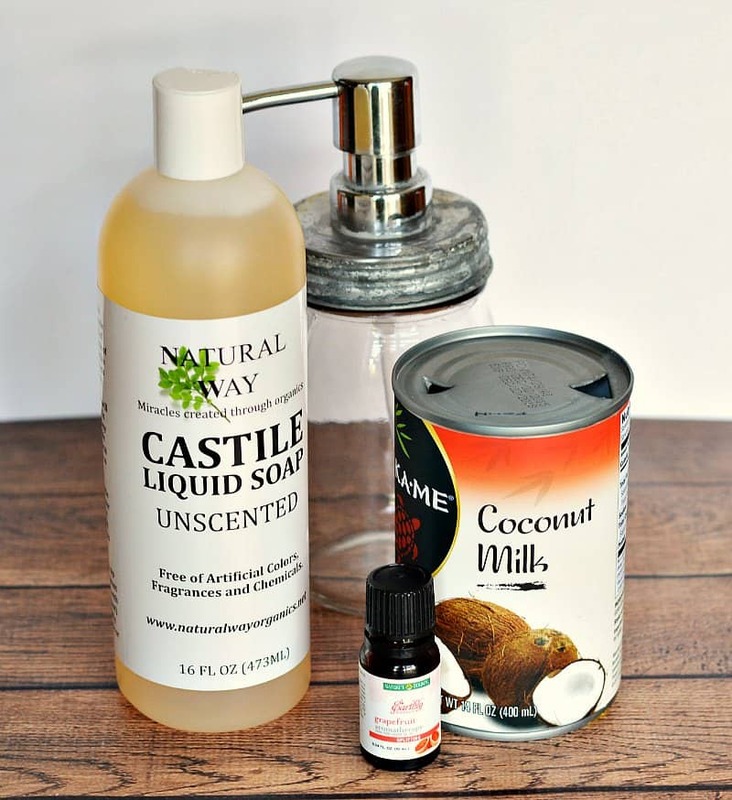 I’m curious about the Castile soap? 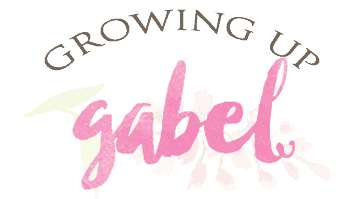 I noticed the brand you use I’ve never seen? The only one I’ve ever come across is Dr. Bronners? Does it matter? If it does, where can I find the one you use? I’m in Az. not too terrribly far from you. The demographics in terms of availability shouldn’t be dissimilar right? Dr. Bronners is my fave, too! You can use that, no problem. 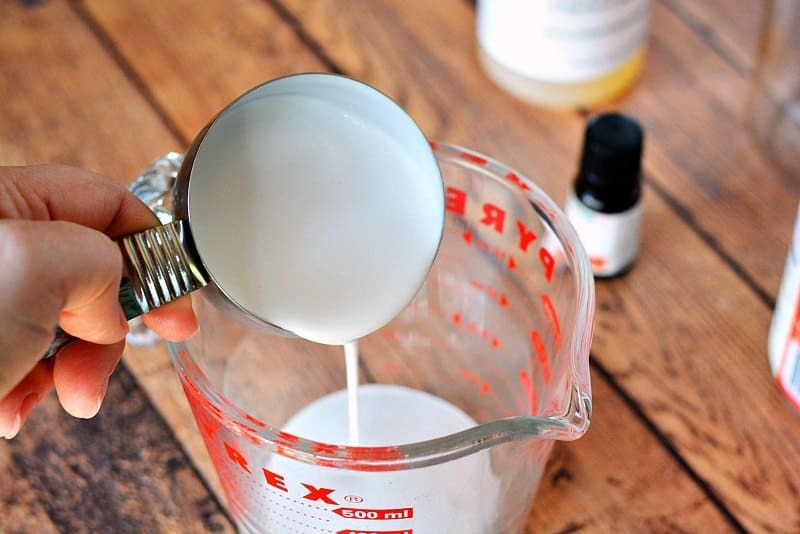 coconut milk / oil has so many great uses. Besides this, I’m also going to try the “teeth whitening” hack; (brushing w/ coconut oil a few times a week to whiten) thanks!